Our team employs woodworking masters who are rich in experience and know all the ins and outs of log building construction. We manufacture, deliver and assemble log buildings made from milled round logs. Each project is carried out according to the individual needs of customers and the highest technological requirements. 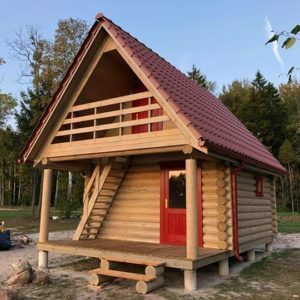 One of our advantages is use of the latest woodworking and construction technologies in log building construction, using only eco-friendly materials from Latvian forests. We use 100% eco-friendly thermal insulation materials for insulation of wall. 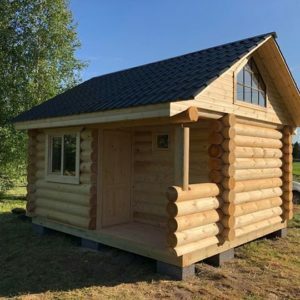 We use the latest woodworking technologies in log building construction which ensure that projects are carried out in a timely manner and the output of log building production is increased for the regional and export markets. According to the client’s needs, we also offer and ensure production of log building frames for individual projects. Log buildings are chosen by people who wish to live in harmony with nature, who respect nature and wish to live their life to the fullest. We offer prefabricated log buildings with delivery included in the price and a full construction process. We provide consultations from construction experts and technical monitoring of construction work during log building assembly, and high quality and timely performance upon putting the building into service. We develop cost calculations for log buildings and evaluate cost calculations. 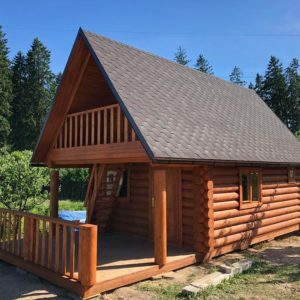 We offer only high-quality log buildings and guarantee high quality for the entire period of log building use. We perform log building maintenance during their settlement. According to the client’s needs, we provide additional construction work before and after putting the building into service.